Corrosion can be a huge problem that is potentially detrimental to your water system. Corrosion is not only a problem that can cause lasting damages on your water system, but it can also have harmful effects on the environment. The harmful effects of it to the environment lies mainly on the fact that a huge amount of water is wasted through the leaks that occur in so many areas of your water system due to corroded pipes. The problem does not only lie there. Corrosion can cost you a lot of money! If your pipes are corroded, you might have to replace all of the pipes in your system! Imagine how much of a hassle that would for you in terms of time, energy and finances! Blue stains are usually an indication of copper corrosion. Unless your home is a newly-built one, it is imperative that you check your pipes for corrosion. Aside from the issue with water being wasted through corrosive pipes, checking your pipes can also tell you some tell-tale signs of issues with your water. Checking for corrosion can be done in many ways. Here are some of the things you can do to check your pipes for corrosion. Know Your Pipes – This is the thing that you need to know first. You have to know what type of pipes you are using throughout the house. You never know, maybe your pipes are corrosion-proof. If so, there won’t be a need to check it for corrosion and you just saved yourself time and energy! Test your water – A water test can tell you many things not only about your water itself but about the entire system too. In this case, if you want to check for corrosion, test your water for copper. An abnormal level of copper can cause corrosion in your pipes unless you are using pipes that are corrosion-proof. 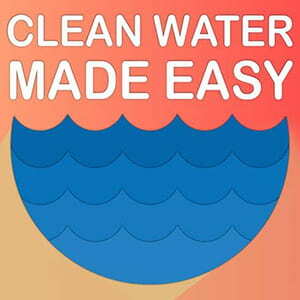 Test your water with our test kit available here. Check for Blue Stains – Your pipes may be leaking. If you can find any leaks, check for blue stains. It will help you tell what is causing your pipes to break down and leak. If you can’t locate any leaks, however, you can just check your toilet tank or the areas around your fixtures for blue stains. Check for Rust – Rust is a common by-product of corrosion. The easiest way to check for this, especially if you have galvanized pipes, is through your toilet tank. Inspect any cut portion of your pipe – the best time to do this is when you’re having some plumbing issues corrected. While your plumber is working on the issue, you can check the cut parts of your pipes for any signs of corrosion. Inspect the Exterior – If most of your pipes are not underground and are easily accessible, this would be a great option for you to use. Inspect the exterior of your pipes and see if there are any pinhole leaks. If there are any leaks, you can know that it’s caused by corrosion if there are rusty, bluish, white or salt-looking sediments or stains around the leaks. Once you figure out that there is corrosion happening in your pipes, you can also dig further to know the cause of it. This way, you’d be able to uproot the problem by installing a system that would get rid of copper and other corrosive substances from your water. The earlier you check for this, the better. Scale can also be a huge problem for your pipes. Scale build up can cause issues with your water supply because it could clog your pipes up which can potentially interfere with your water pressure. Scale is caused by water hardness and if you find out that there is scale formation in your pipes, you can also think about how to soften your water. You can check your pipes for scales by looking at cut pipe parts too. You can do this when you’re having plumbing work done. If your water is very hard there is a possibility that the scale formations on your pipes would be very thick. You can also check your toilet tank for the presence of scale. Just like in checking for corrosion, you can also have your water tested to see how soft or hard your water is. Your pipes are very important. You cannot have a water system running without pipes, after all. You need to take better care of your pipes because water supplied to your household pass through your pipes all the time. If there are any issues, it will surely affect the quality of your water too. Check your pipes from time to time and get rid of the water contaminants and issues that threaten the quality of your pipes.